All other methods of the behavior are simply empty. Of course we also need to provide the TrackingContractBehaviorAttribute, also – for the time being – with empty methods. 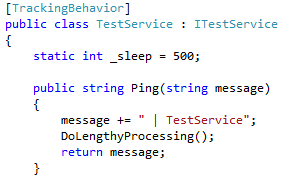 Note: Strictly speaking, we could use the behavior class. But I want to emphasis the fact that the behavior used to manipulate the code is only present during proxy generation, while the one we just added as attribute is present at runtime. In case the policy contains more complex parameters, there is more work to do – analyzing the XML from the policy assertion, generating code with parameters – but the general principle stays the same. First order of the day fulfilled. The service announces the policy in the WSDL for everyone to take notice and act accordingly. 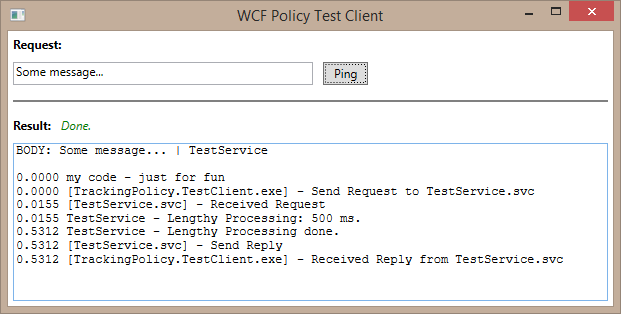 The client proxy generation can be taught to evaluate the policy assertion. 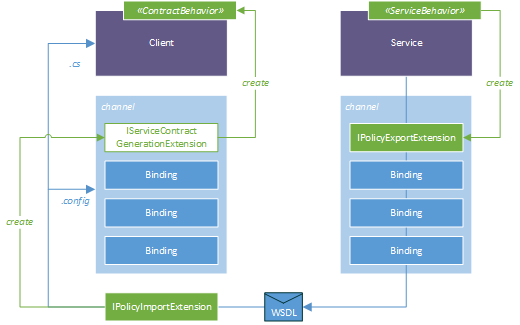 What’s important: The bridge between server and client is the WSDL and WS-Policy – common standards, nothing WCF-specific. Similar mechanisms can also be set up on other platforms, e.g. Java with Metro. 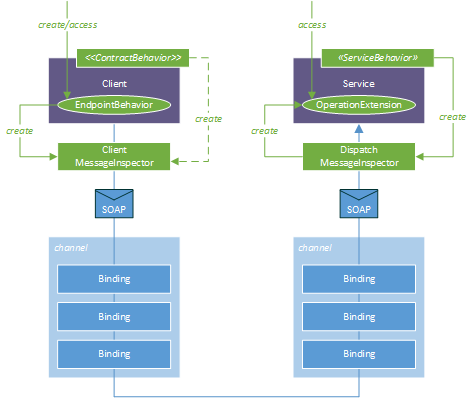 The next post will be an addendum, before we take care about the runtime aspects. After all, our implementation doesn’t do anything worthwhile yet.